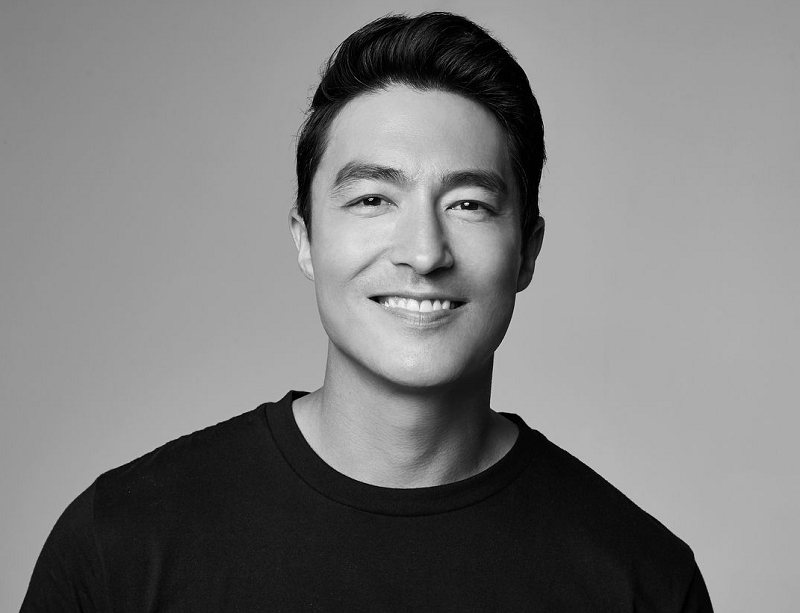 Daniel Henney was born as Daniel Phillip Henney on 28th November 1979 in Carson City, Michigan. He is of Asian ethnicity and holds an American nationality. Henney was raised by his parents, Christine (a Korean-American) and Phillip Henney (an Irish American). Her mother was born in South Korea and was adopted by a German-American couple as an infant. Henney attended the Carson City- Crystal High School. During thosedays, Henny was a star basketball player in his high school and led the Eagles to the MHSAA Central region championship during his senior year. Henney went to the Alma College and Albion College on a basketball scholarship. He graduated from the University of Illinois at Chicago. Daniel Henney got his first acting role as a cameo in ‘Hello Franceska’, a South Korean sitcom in 2005. In the same year, he made his debut with a fully fledged role in ‘My Lovely Sam Soon’, where he was initially criticized because of his ‘not fully fluent Korean’, but he eventually grew on the audiences because of his charming looks and acting talent. Daniel played a doctor in the series, and although it was a supporting role, the general reception was good. The series ‘My Lovely Sam Soon’ was one of the most popular Korean dramas, and Daniel soon became a household name, eventually grabbing some more juicy roles in form of ‘Spring Waltz’ in 2006, where he played one of the main cast members and portrayed the role of Philip quite effectively. By then, it had become quite obvious that he had mastered Korean and his acting skills had also improved. He faced a slight controversy in 2006; he had earlier claimed that he had a degree in Economics from the University of Illinois, but there was no record of him ever graduating from that university. This affected his career slightly, as he received a lot of flak from media for lying, but somehow, he continued working and appeared in his first film role in 2006 with the film ‘Seducing Mr. Perfect’, a romantic comedy film. In 2007, he was seen in the most pivotal role of his career at that time in the South Korean Drama film ‘My Father’, where he played the lead role, a man who sets out in search of his biological parents. The film was a box office success and earned Daniel quite a lot of applause for his deeply emotional portrayal of a broken young man. He ended up winning a Blue Dragon Film Award and a Korean Association of Film Critics Award for his performance. Daniel then starred in the 2009 drama ‘Three Rivers’ where he played one of the leading characters, Dr. David Lee, and the same year he appeared in his very first Hollywood project. He was signed on to play the role of Agent Zero in the superhero film ‘X Men Origins: Wolverine’. He played a supporting role next to Hollywood superstar Hugh Jackman. The film performed poorly at the box office, and was panned by critics as well. In 2010, he appeared in ‘The Fugitive: Plan B’, an action series which became extremely popular in South Korea and the rights were even got sold in Japan, Thailand, and a few other East Asian countries, making it wildly famous, and hence, resulted in more fame for Daniel internationally. He then did a cameo as a music producer in the series ‘Papa’ in 2012 and in the same year, he appeared in the American romantic comedy film ‘Shanghai Calling’, a film which raised the issue of racism in an endearingly humorous way. The Newport Beach Film Festival and the Shanghai International Film Festival honoured him with the Best Actor award for his portrayal in the film. In 2013, he again appeared in another Hollywood mega budget action film ‘The Last Stand’, where he played a supporting role. The high on testosterone film did well on box office, and received moderate reviews from the critics, a good thing for an all-out action film. Daniel then made a cameo in ‘Revolution’, where his role was three episode long and in 2014, he played the role of an agent in one episode of ‘NCIS: Los Angeles’ and also played the lead role in the South Korean spy thriller ‘The Spy: Undercover Operation’. In 2015, Daniel joined the cast of the successful American police procedural drama ‘Criminal Minds’. The series was already highly popular, and made Daniel a household name in America. In 2016, he made a cameo in Korean drama ‘Dear My Friends’. What’re the Meanings Behind Jay Park’s Tattoos, and How Many Does He Have? Are They Dating? The Truth About Lee Min-ho and SNSD Yoona’s Relationship! Why Kim Bum’s Nose Job Went Wrong?